Surgical Innovations to Treat Arthritis : Dr. Rajiv Thukral Associate Director, Orthopedics. 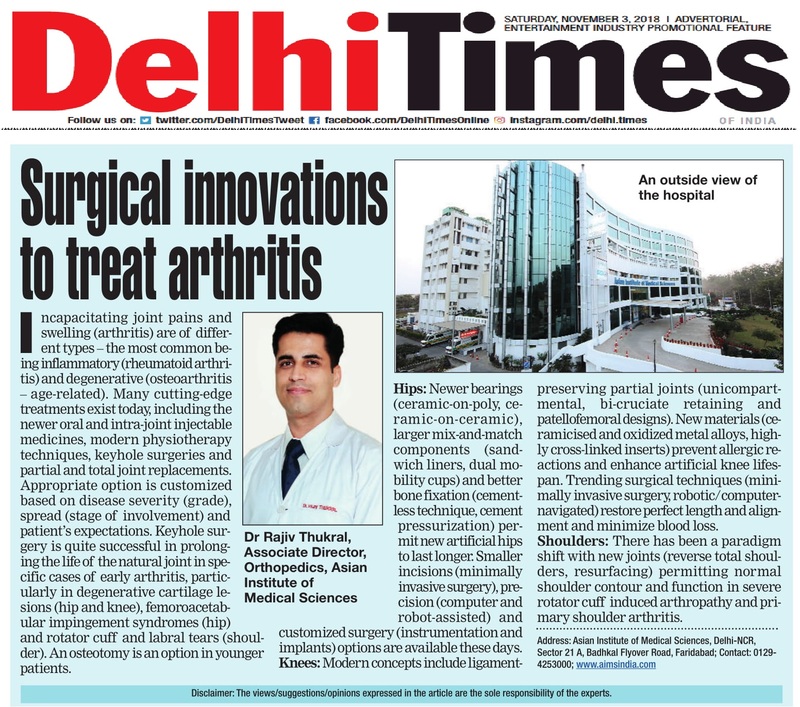 Aims India/News & Media/Surgical Innovations to Treat Arthritis : Dr. Rajiv Thukral Associate Director, Orthopedics. Surgical Innovations to treat arthritis: Dr Rajiv Thukral Associate Director, Orthopedics.